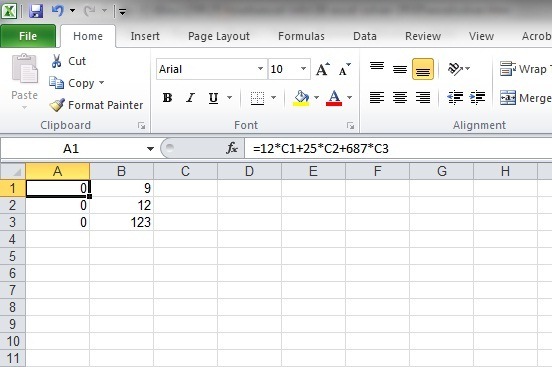 Solving equations is very easy with excel. Let us see how to solve the following equations using excel solver tool. 2. Check whether there is a group by the name ‘Analysis’. 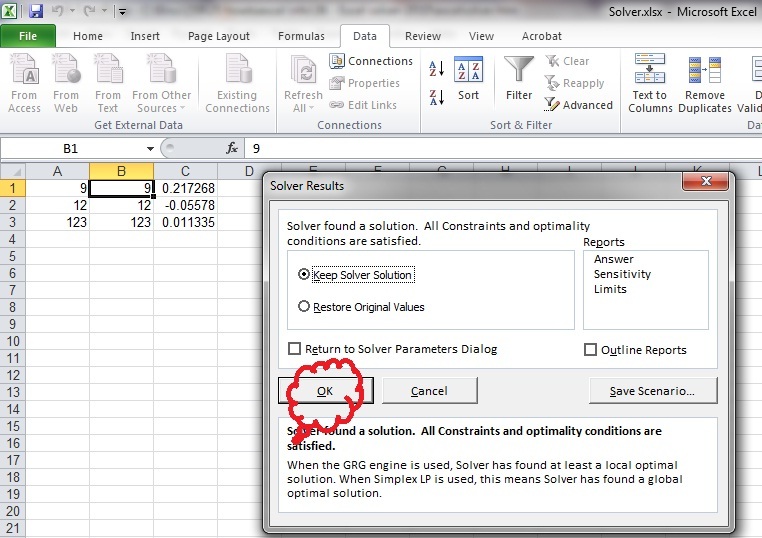 If it is there, then click Solver in the Analysis group as in the picture below. 3. By default the ‘Analysis’ group will not be available in excel. 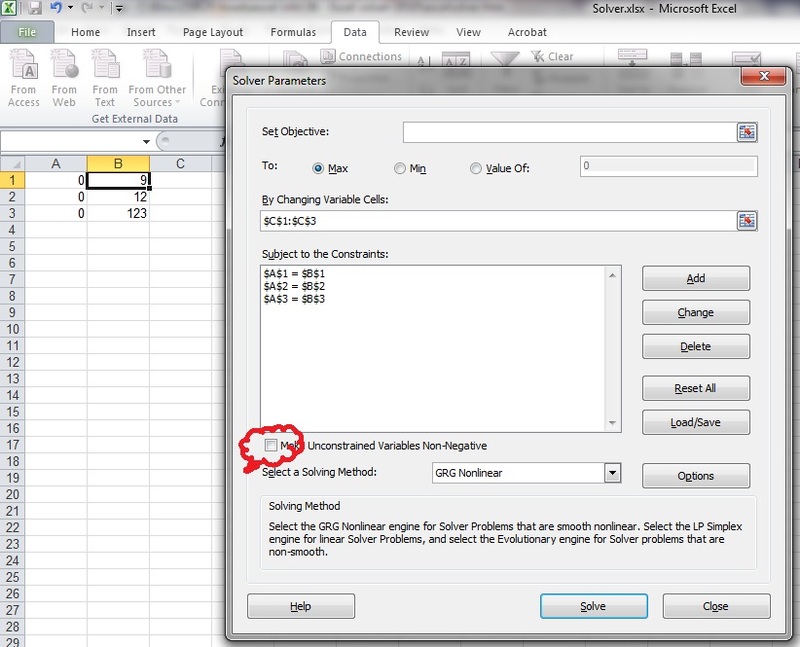 If it is not available, then you need to load the Solver Add-in programme available for free in Excel. 4. To load the Solver Add-in, Click the File tab, click Options, and then click the Add-Ins category. 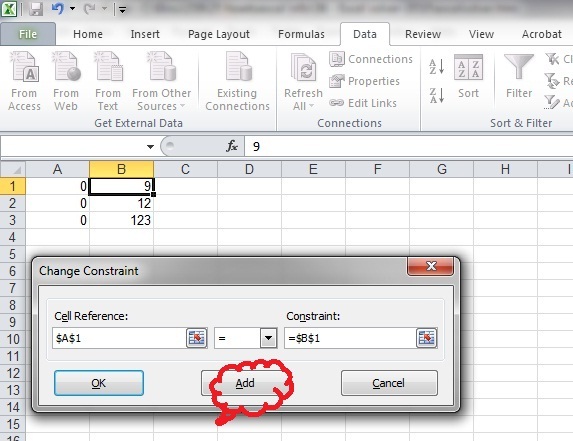 Enter the constraints inside the box ‘Subject to the Constraints’ by clicking the ‘Add’ button as below. Now click ‘Add’ and insert the next 2 constraints. 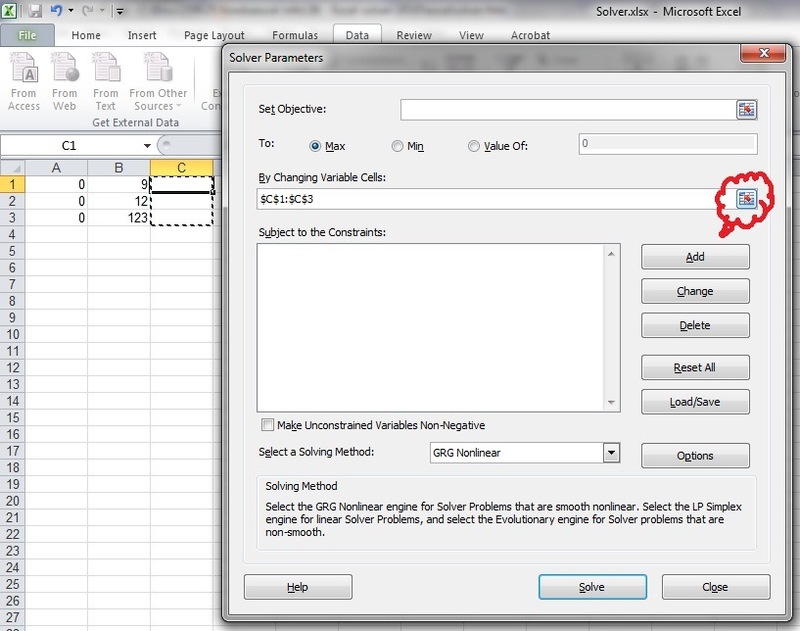 Unselect the check-box ‘Make Unconstrained Variables Non-Negative’ and click Solve. Now you get the solution of these equations in the cells C1, C2 and C3. For more details, visit MS Office website. If you are using MS Excel versions 97-2003, please click here. How to solve three variable equation? Previous PostPrevious How to change the width of multiple columns? How to change the height of multiple rows?